Poland, c. 1840. 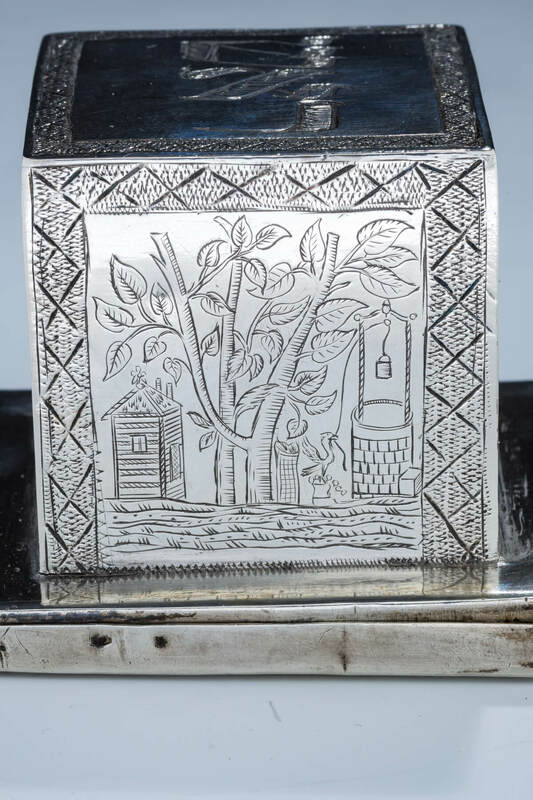 Sharply engraved with emblematic scenes. 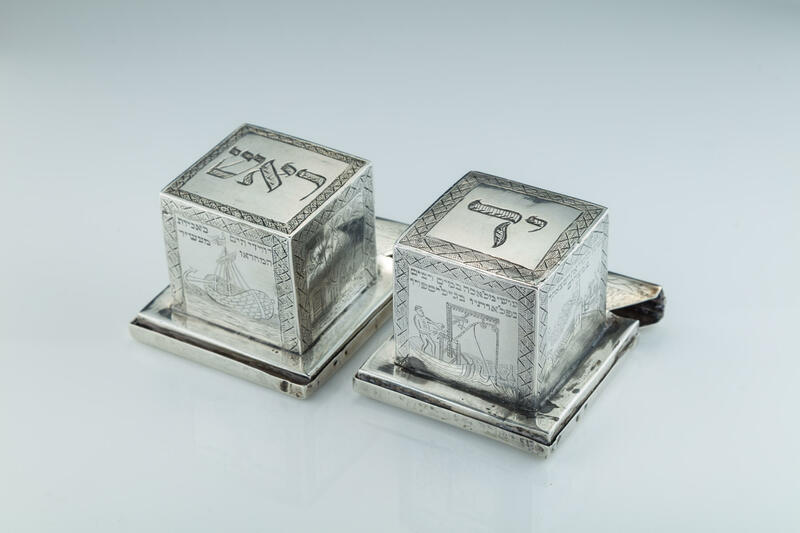 One base engraved with the doors of the tabernacle flanked by moshe and aaron and the other with isaac and rebecca and appropriately engraved: “and isaac went to mediate in the field (genesis 24:24)”. 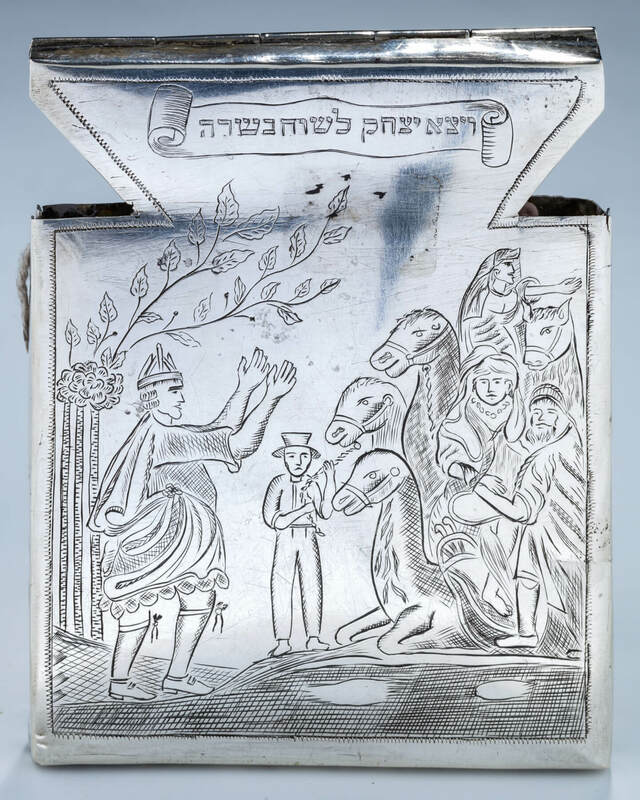 The sides of the shel yad (for hand) are engraved with four additional scenes. 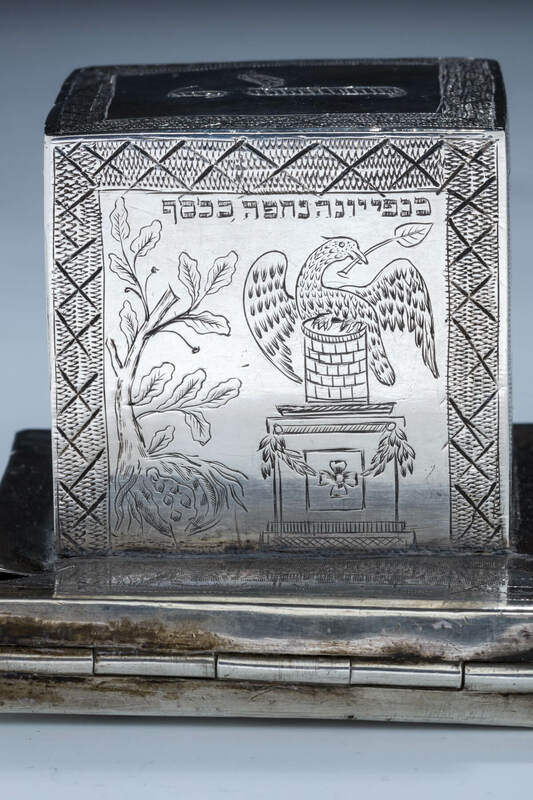 The first shows a double headed eagle guarding her young and is engraved: “as an eagle stirs up her nest fluttering over her young (deuteronomy 32:11)”. 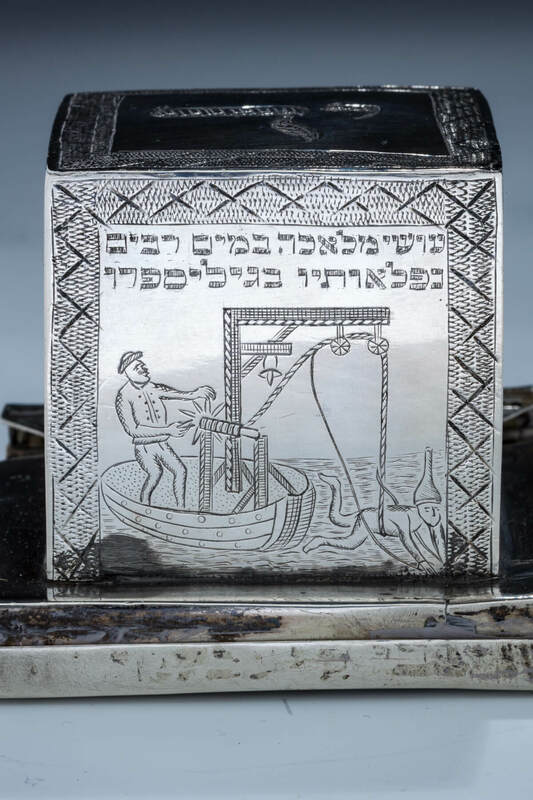 The second shows a person being lowered from a boat into the depths of the ocean and is engraved: “they go down to the depths of great waters and search there, they will relate the wonders of the lord with joy (psalm 107:23). 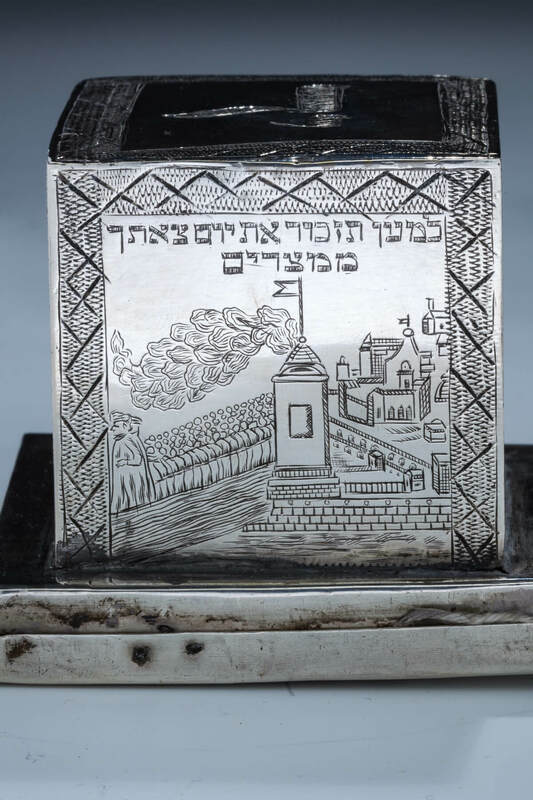 The third shows the scene of the nation of israel leaving egypt and is engraved: “that you may remember the day that you came from egypt (deuteronomy 16:3)”. 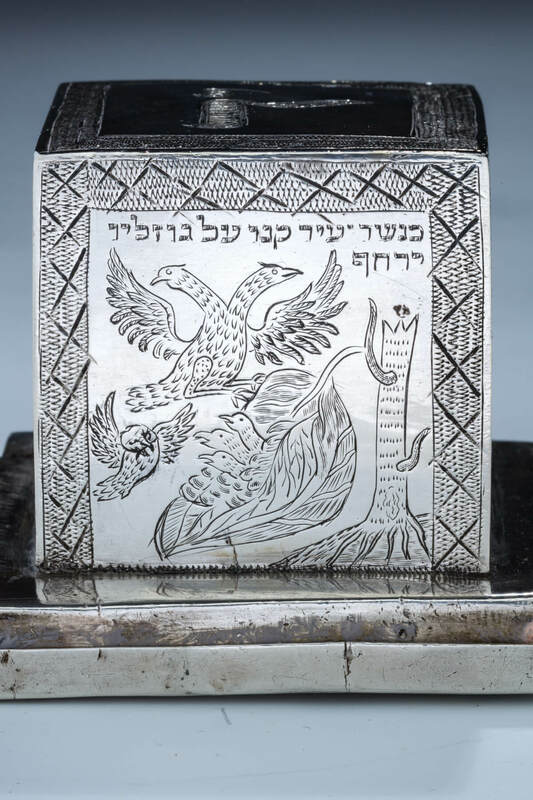 The fourth side of the shel yad shows a dove on a well next to a flowering tree and is engraved: “the wings of the dove were covered in silver”. 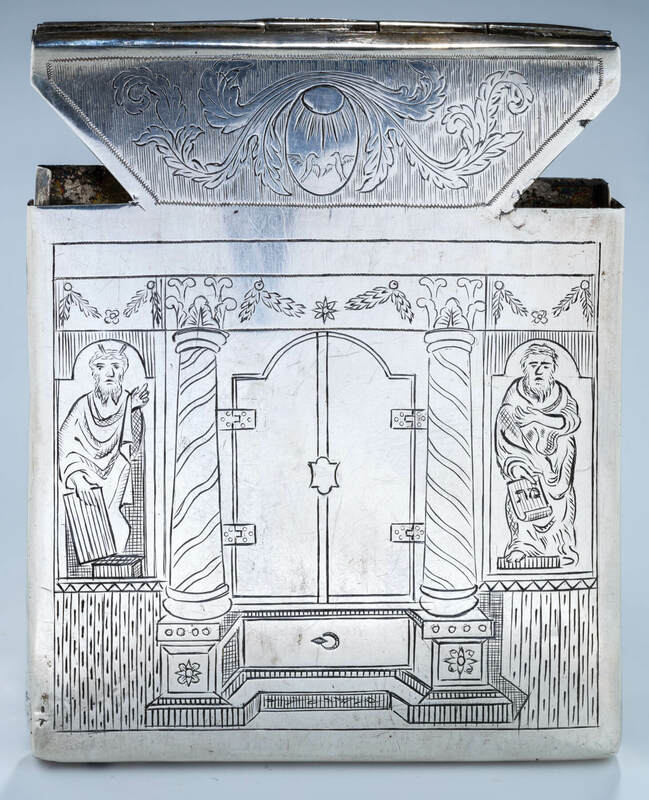 The sides of the shel rosh (for head) and decorated with four additional scenes. 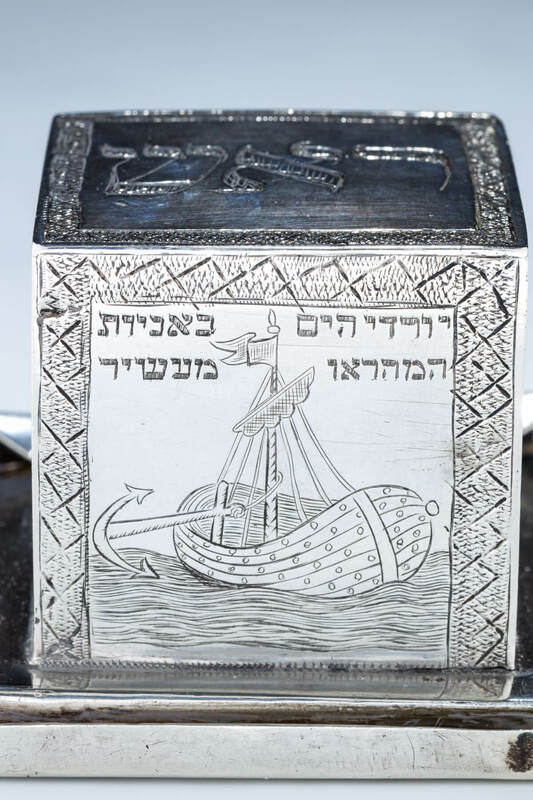 The first shows a boat casting an anchor and is engraved: “those who went down in the sea in ships, saw the wonders of the lord (psalms 107:23/24)”. The second scene shows a small house, a tree and a well. 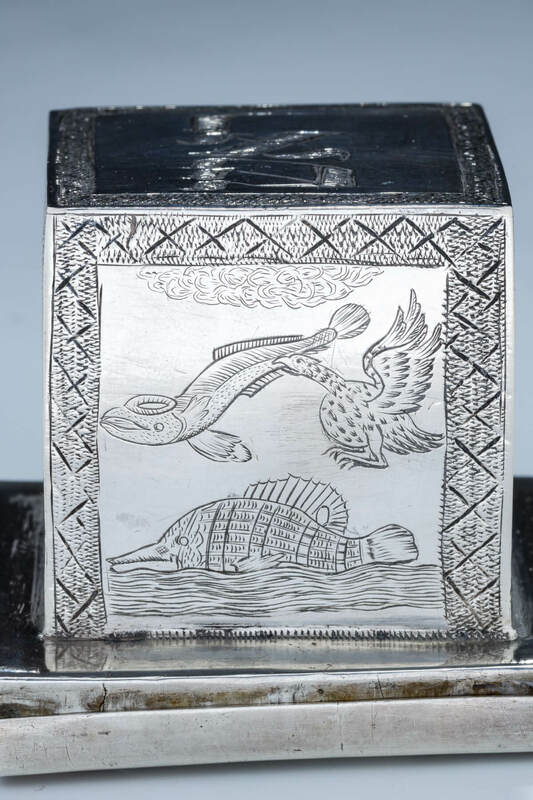 The third side shows a large sea creature and an eagle eating a large sea serpent. 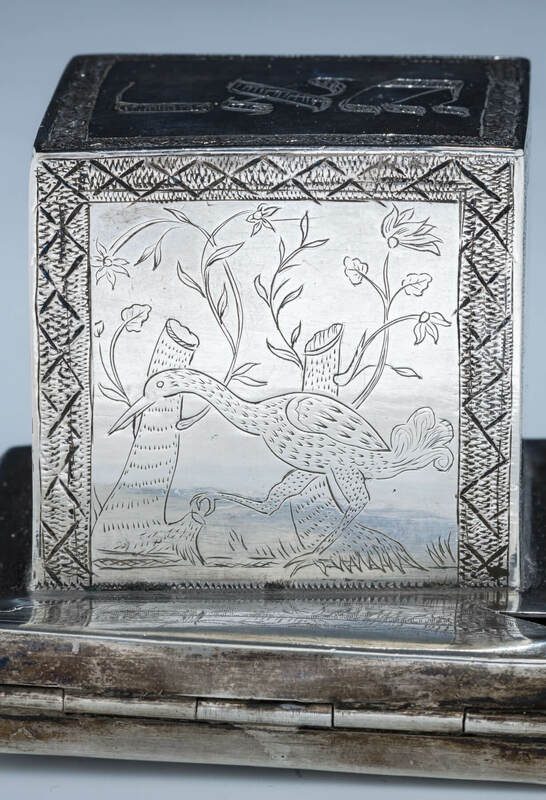 The fourth side shows a finely engraves swan walking through the brushes. 3.4” wide.